Home Tags Posts tagged with "riding a motorcycle"
Riding a motorcycle is an altogether different experience to driving a car. For one thing, you only have two wheels instead of four. But when you’re riding a lightweight machine, two wheels makes you agile and in more control on the road. When you’re riding a motorcycle, you get to experience the world around you from a different perspective. You get to see more of your surroundings, and you become more aware of what’s going on in the world. Before you buy a bike, you need to determine whether you have a valid motorcycle endorsement on your driver’s license. In a lot of states in the USA, this often involves sitting a short written test and taking a basic practical exam. Unless you plan to ride your motorcycle only on private land, you’ll need a motorcycle endorsement on your license. There is no way around this! It’s usually easier if you passed your driving tests in a car first. That way, you have entitlement to drive cars and ride motorcycles. I always tell people to get as much training as possible before taking driver’s license exams. Once you do this, you will have enough skill and experience for riding solo on the road. How good a rider are you? Following on from the previous section, you should only look at motorcycles that you know you are capable of handling. If you are a beginner, one thing you should not do is set your sights on a high-powered superbike! Unmodified 500cc motorcycles are a good place to start. 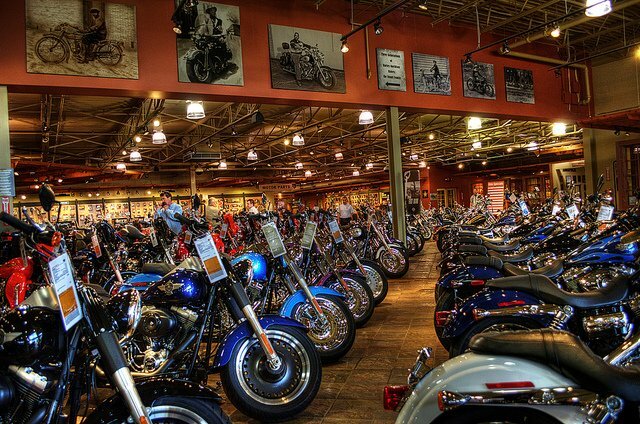 In some ways, shopping for a motorcycle isn’t that much different to shopping for a car. There are plenty of models on offer, and you need to try out the ones you like before making a decision on one specific model. It’s a bad idea buying a motorcycle on impulse, or because you think it looks nice. The only way you will know whether a motorcycle is the perfect fit for you or not is by taking it out for a test ride. Only consider motorcycles that are suitable to your current skill level. You can always upgrade to better-performing models once you gain more skill and experience on (and off) the road. Should you buy a new or used motorcycle? It’s no secret that motorcycles are so much cheaper than cars! Even a brand new motorcycle is cheaper than a premium used car! But there still remains the question of whether you should buy a brand new or used model. The answer to that question depends on two things. The first point of consideration is how much money you’ve got to spend on a motorcycle. As with cars, you can usually pay by cash, card or finance. If you opt for the “buy now pay in instalments” approach, make sure that you can afford the repayments. Otherwise, a repo truck will soon appear to take away your pride and joy! The second point is how important depreciation is to you. Again, as with cars, the value of motorcycles goes down or “depreciates” over time. A six-month-old demonstrator motorcycle that’s been sitting in a dealer showroom is more attractive than a new one. If you’re working to a tight budget, your only option may be to buy a used motorcycle. But just because a motorcycle is a used model doesn’t mean it will be unreliable! 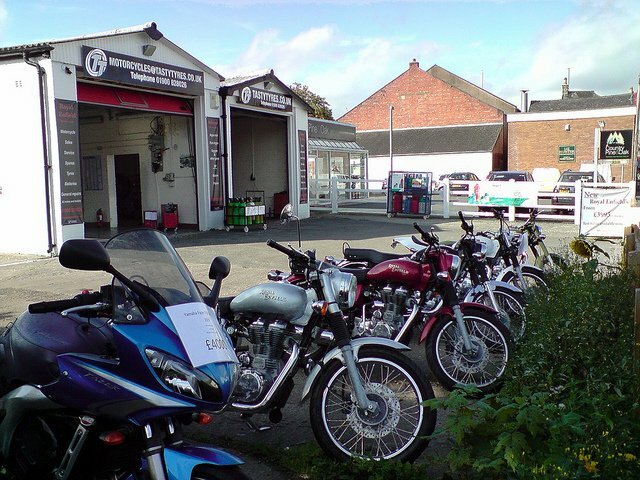 In general, motorcycle owners tend to look after their machines better than motorists that own cars. And on the subject of maintenance, motorcycles are so much easier to maintain and repair than cars. That’s because there are fewer parts that get used, and the engine is quite accessible. For a start, motorcycle insurance is a legal requirement in the United States and most countries around the world. The sad truth is that there are more auto accidents involving motorcycles than there are cars. Motorcycle insurance is often cheaper than car insurance because bikes are lower value items and cost less to fix. Even bike insurance in the UK is cheap. And anyone that has been to or lived in Britain will tell you how expensive most things are in general! Thanks to the power of the World Wide Web, it is now easier than ever to get motorcycle insurance quotes. In fact, there are even some comparison websites that make the process quicker and easier for you. There is no excuse not to get a good deal on your motorcycle insurance, regardless of your age or what bike you ride. Just make sure that the policy you buy offers good value for money, and doesn’t have a long list of exclusions on what you can and cannot do. How do I know if a specific model is any good? One of the questions I get asked a lot is whether it’s possible to determine how good (or bad) a specific bike is. It’s pretty easy to make a judgement on a motorcycle. For instance, the Web is a great resource for independent reviews of bikes from an owner’s perspective. When you read motorcycle reviews in magazines, they tend to be from a journalist’s perspective. They only get to spend a day or so with them, so there’s no way they can tell you about all of the pros and cons of owning a specific bike. Motorcycle forums are usually a good place to start when seeking out online reviews. That’s because they are communities of owners and enthusiasts just like you! And you can also check out some motorcycle blogs as the smaller ones are often run by owners rather than publishing firms or other organizations.